A great choice for the budding singer-songwriter, the all-new CC-60S shines when fingerpicked or strummed. 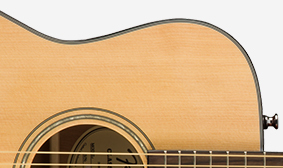 It boasts upgraded features that players of all types are sure to love, including a solid spruce top, comfortable walnut fingerboard with rolled edges and a new, easy-to-play neck shape. Spruce is the standard tonewood for acoustic guitar tops—few woods can beat its strength, brightness and dynamic range, and it responds well to any acoustic playing style, from hard strumming to fast flatpicking or delicate fingerpicking. 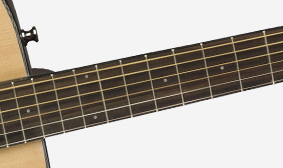 With its comfortably rolled fingerboard edges, this instrument’s neck creates an incredibly satisfying fret-hand feel that’s ideal for beginning players or experienced pros alike. 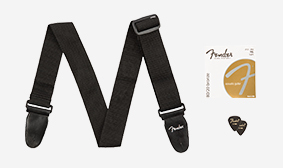 This pack includes everything you need to start playing instantly, including picks, a strap and an extra pack of strings. You also get a free 30-day trial of online lessons via Fender Play so you can learn from the best, at your own pace.